A beautiful arrangement with red roses and stargazer lilies hand tied specially for your Valentine. Each bouquet is made with love and complimented with forest fresh greens. 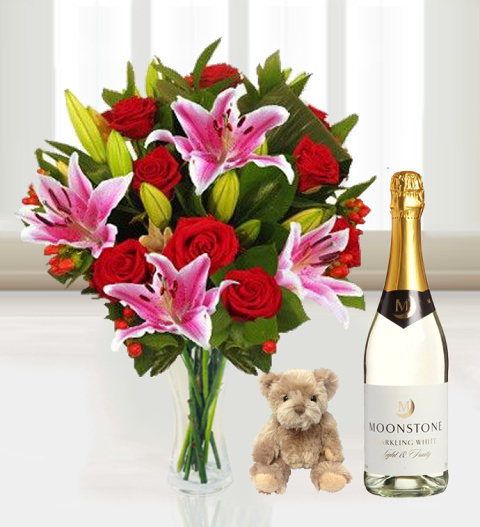 Each bouquet comes with a cute cuddly bear and a delicious 75cl bottle of sparkling wine. Available for UK next day delivery, each gorgeous bouquet comes with a FREE box of Belgian chocolates. Chocolates may contain nuts.